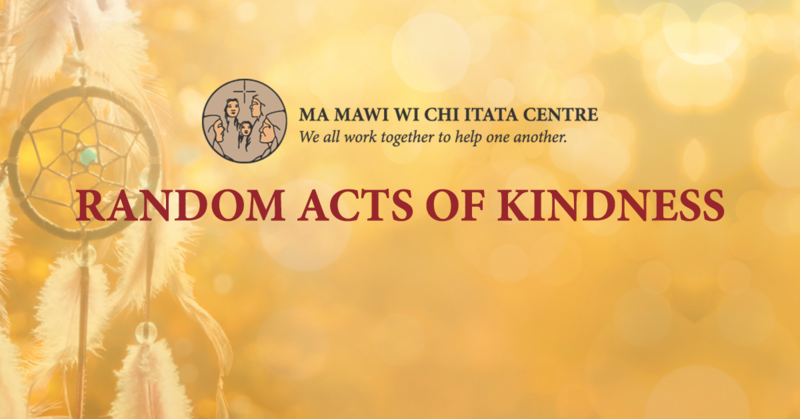 Ma Mawi Wi Chi Itata Centre’s Random Act of Kindness is a campaign to share how the Ma Mawi family walks our talk by promoting the Ma Mawi way. Random Acts of Kindness comes natural to our value and strength based way of community people supporting other community people and we are honored to share these with others. We all work together to help one another!